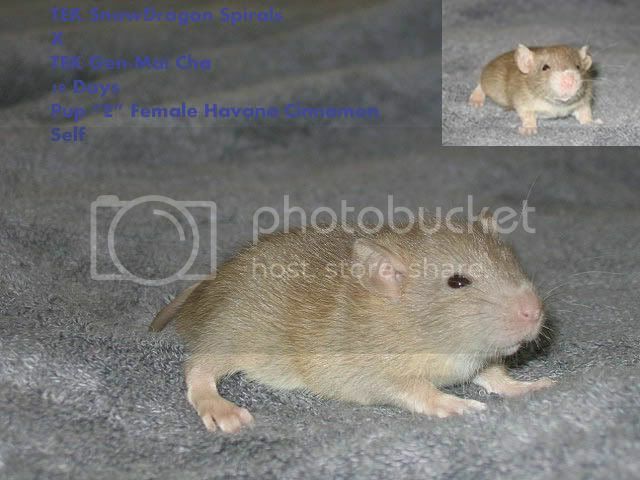 I have a little Havana Cinnamon self female out of TEK Snowdragon Spirals x TEK Gen-Mai Cha who is available to the right home. My waiting list is *ALL* wanting pairs and I would rather have her placed in her forever home than wait and see if one of my next litters ends up having an odd number of pups. She is incredibly sweet and sociable and has been handled from the hour of birth like all the pups in the rattery. Providing Companions, Not Just Pets For More Than 8 years!